When most people think about getting cosmetic products, they think about going to a pharmacy or a store that specializes in cosmetics. And while there is a place for over-the-counter skin care products, you should rely on medical-grade skin care products if you want optimal results. You are only going to be able to get medical-grade skin care products from a qualified medical professional. This is because medical-grade skin care products are basically pharmaceuticals. They are a hybrid of cosmetics and pharmaceuticals. In most cases, a medical professional will need to write you a prescription for the skin care products. 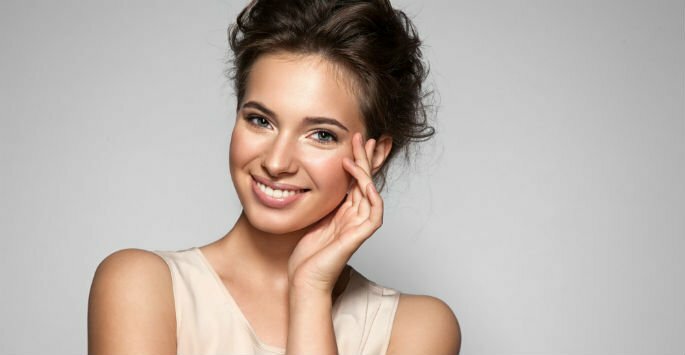 There are multiple benefits that come from using medical-grade skin care products. You are able to work with a trained professional in determining what products are right for you. When you purchase over-the-counter skin care products, it can feel overwhelming. It can feel virtually impossible for you to determine what product or what combination of products you need as you strive to achieve your skin care goals. When you work in conjunction with a skin care professional, you are able to identify the medical-grade skin care products that are specifically designed to help you reach the results that you need. When you go to a drugstore and search for over-the-counter products, you are basically trying to diagnose yourself. Based on your self-diagnosis, you determine what products are going to work and what products won’t work. This is one of the reasons why people are often disappointed with the results that they get from over-the-counter skin care products. Medical-grade skin care products have been designed to have a higher concentration of the active ingredient. Since the active ingredient is present at higher concentrations, it is able to penetrate your skin and provide the maximum results. After analyzing your skin, our specialist can come up with a formula that is going to help you achieve your goals. Medical-grade skin care products must go through the same rigorous process that pharmaceuticals go through. They are clinically tested, and they have been proven time and time again to provide superior results. Remember, the products that you buy at a department store are formulated to work for everyone. Medical-grade skin care products are designed to work for you. By working with our team at Youthtopia Med Spa, you will be able to choose the right medical-grade skin care products for your condition. Located in Alpharetta, we happily serve clients in the Milton and Johns Creek, GA areas. Contact us today to schedule a consultation and get started.